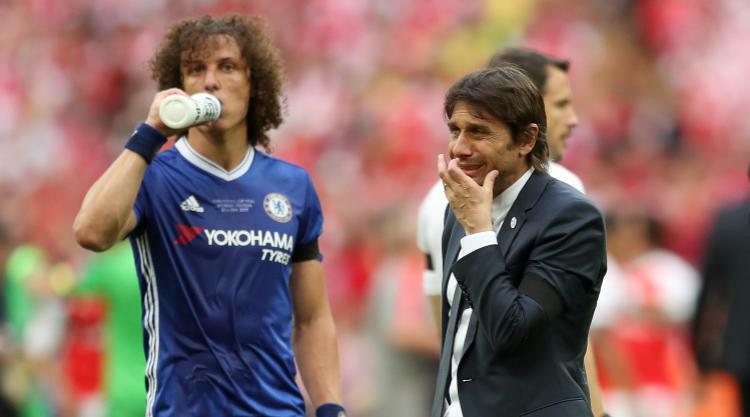 David Luiz could be on his way out of Stamford Bridge in the transfer window, according to the Daily Mail. The Brazilian has reportedly fallen out with manager Antonio Conte after a defeat to Roma in the Champions League in October, and both Real Madrid and Juventus could make a move for the 30-year-old defender in January. Meanwhile, one face which could don the blue shirt of the reigning Premier League champions soon is Wilfried Zaha. The Daily Mirror claims the Crystal Palace winger has caught the eye of Conte who may be looking to sign the 25-year-old next summer, if they can see off competing interest from Arsenal and Tottenham. One of Arsenal's top targets, Nabil Fekir, is open to heading to the Emirates, says the Daily Mirror. The 24-year-old has lit up Ligue 1 for Lyon and is expected to be subject to a lot of interest in January, reportedly naming Arsenal as a club he could be interested in. But he has said he is also happy to remain at the Parc Olympique Lyonnais. Another Premier League side looking across the Channel for talent is Manchester United, who are eyeing Bordeaux's Malcom in a Â£30million move, writes the Daily Mail. The 20-year-old Brazilian has scored seven times this season and Jose Mourinho sent scouts to watch the youngster last season. Tottenham have sent scouts to look at Ajax pair Donny van de Beek and Justin Kluivert, son of Dutch star Patrick, according to the Sun, having looked towards the Dutch club for talent in the past when signing Christian Eriksen and Jan Vertonghen. Antoine Griezmann: Barcelona president Josep Maria Bartomeu has met with the Atletico Madrid forward's family as steps are taken towards a summer deal, Mundo Deportivo reports. Virgil van Dijk: Chelsea will rival Manchester City to sign the Dutch defender over fears Pep Guardiola's side could run away with the Premier League, the Daily Mirror reports. Ezri Konsa: The Charlton man is being looked at by Everton scouts, the Liverpool Echo says.